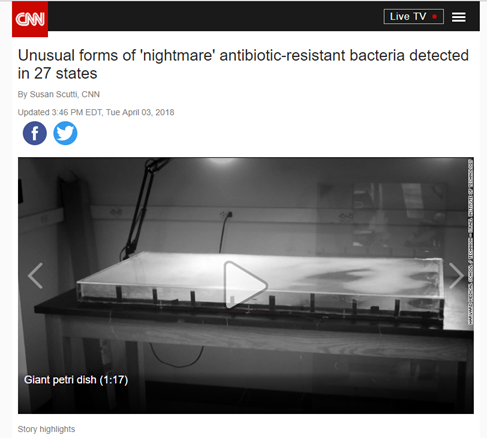 CNN discusses antibiotic-resistant bacteria and a report published by the CDC. New antibiotic-resistant bacteria is becoming increasingly common, and those bacteria are commonly discovered in the OR. One in four of the isolates they analyzed had the ability to spread its resistance.